A new year, and a new calendar of markets and food events! As this goes live I'm savoring my last days of Hokkaido snow, but looking forward to getting back to my garden chores (seriously) and making a list of markets around the country that I want to hit. (There's one near Osaka that a new market friend put me on to, so I'm dreaming a road trip there. We'll have to see.) Meanwhile, perhaps I'll see you out and about at one of these! A great little market worth a visit not just because it's all organic all the time, but you'll have those free samples all to yourself as well as a great opportunity to meet a small handful of growers and producers who don't necessarily make it to the larger market in Yoyogi. *A bit of a guess as the calendar on the site has not been updated for January as of this publication. I'll confirm as I can. 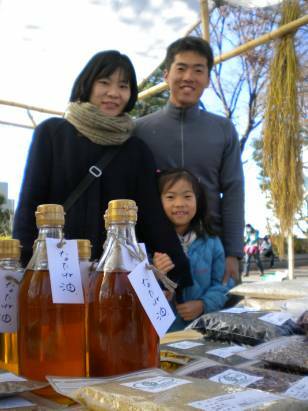 A December visit to Tokyo's Earth Day Market revealed the occurrence of a new occasional organic market in Kichijoji. This one takes place in Inokashira Park - a perfect spot for a market if ever there was one - and promises only to grow. I remain hopeful that some of our Mitaka growers will move in and strut their stuff. Another sad note here as C-Cafe's building is undergoing demolition. The cafe will be closed for about a year, but may resurface periodically for fun food events. I'll keep you posted as I learn more. Many thanks, Anjuli!! Looking forward to hearing about your possible visit!